Ouarzazate is one of famous small towns of Morocco. 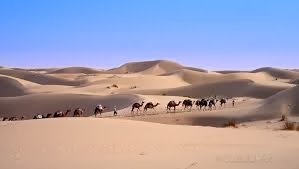 The place has amazing sand dunes that you would love to view sitting on the camel back. The chrome colored oasis mesmerizes the landscape sight of Ouarzazate. The town has earned respect more for being one of the strategic locations for business. The town is also known as the door of the desert. The place has several hotels that are affordable and offer the best hospitality services. If you are planning a trip to this place you can easily reach with no hassle. It is famous town known for being one of the transport hubs of Central Morocco. The door to the desert is well connected with all means of transport such air, train and bus. It also has a small airport and some major cities connected are Marrakech, Agadir and Casablanca from where you can reach your destination. It is an interesting place which has grasped the attention of Hollywood for movies like Gladiator and UNESCO. 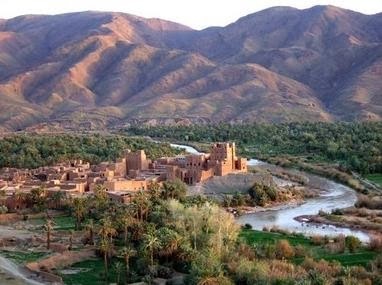 Kasbah has been declared as a World heritage site for UNESCO and a worth place for photography. The Kasbah has tiny traditional villages, doorways moulded as arches, and oasis where you would love to walk through. Passing through the villages, some articles would interest you made by local craftsmen. Near Kasbah, moving southeast, you would see the longest river of Morocco. The river forms when two rivers Dedes and Imini meet. The valley has lush palm groves which you enjoy watching as an eyeful sight. It is a beautiful scenic location where you can enjoy a long ride of several kilometers. The starting point of trip into the Sahara would be M’Hamid. You can visit the famous dunes in Tinfou to get the real feel of the desert. The experience of isolation in the dunes is quite exciting and uncanny. The Sahara desert gives an impression of a vast hub of sand with no limits. In southern Morocco, you would love to visit a nearby town Tinghir. It is a terraced place near to Todra gorge. Great sights of mountains, cliffs, eyeful palm groves and valleys would drive you crazy and gather panoramic views. As you move forward, you can also have a glance at the valley of roses. M’Goun Valley is filled with roses during summers; it is an enigmatic spot where every visitor would plan to see. 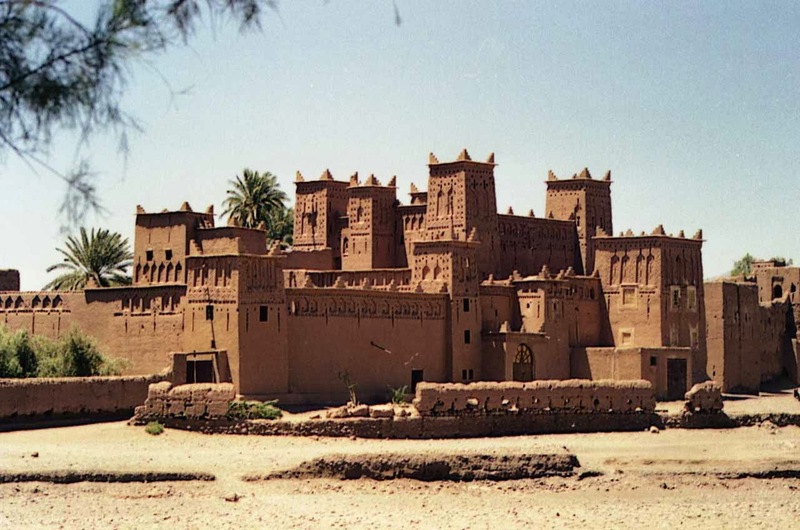 Ouarzazate offers an amazing holiday trip to the backpackers and will surely be a place of wonderful delights.